The stand is designed to study issues of energy saving by means of the exhaust air heat utilization with ventilation, the air-water heat pump performance adjustment and the efficiency of heating system. The unit is a monoblock heat pump with air-water system installed on a movable platform. Frontal panels of the platform are removed in order to provide visual demonstration of internal nodes. 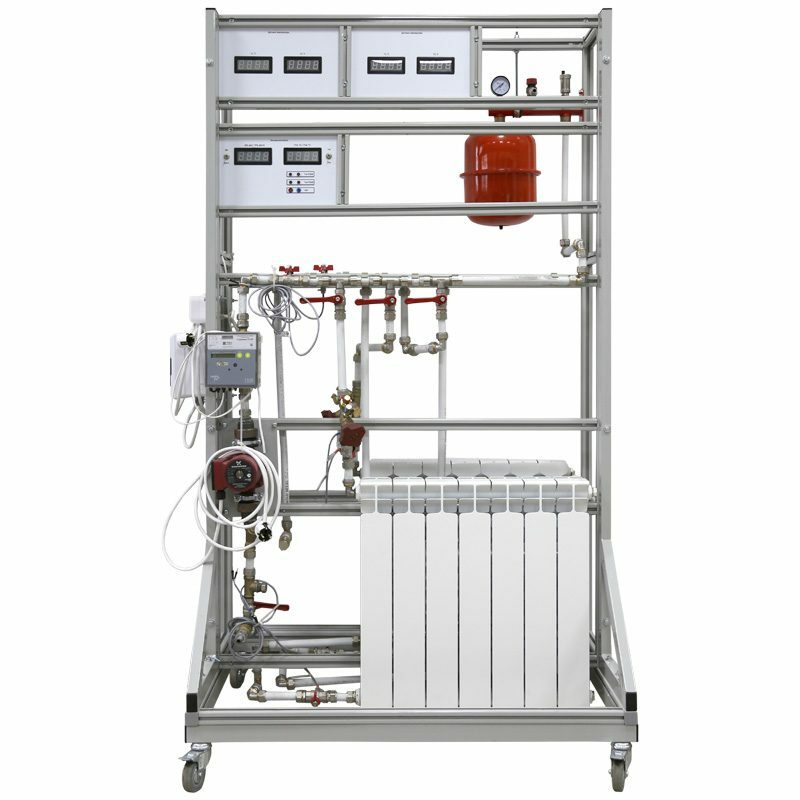 A mobile platform with mounted heating devices and distributive nodes is connected to the heat pump by means of flexible connection. The measuring system allows the coolant pressure and temperature, the heat carrier flow rate, the electric energy consumption and the energy conversion efficiency to be controlled.